DRESSERS AND NIGHTSTANDS There are 20 products. Riquadro is the night collection designed by Caccaro that plays with the mixture of different materials. In fact, the supporting surface of the Riquadro dresser is slightly recessed and it can also be created in lacquered glass, so it looks like an authentic tray: this detail gives it even more elegance and completes this pure and essential accessory. A practical and functional furnishing element: Punto by Caccaro can be used both as a nightstand and a side table. 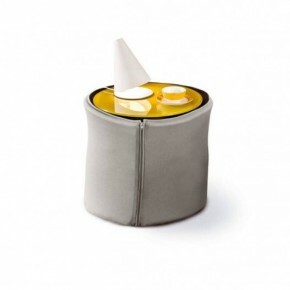 It is provided with a practical container that opens by sliding on a non-visible mechanism. Punto helps you keep everything at your fingertips. Practical, discreet and elegant: perfect in every environment of your house. Soft is a furnishing line for the night zone by Caccaro, characterized by compact volume drawers. It is easy to open and to clean thanks to the slot that covers the front side of the furniture. The line stands out for the smoothness of the shape, made sinuous by its rounded corners.